Leading the pack in innovation and accuracy for material scanning is H-Sensortechnik’s Optical Belt Scale. The Optical Belt Scale combines innovation with precision in their volumetric material measurement belt scale. 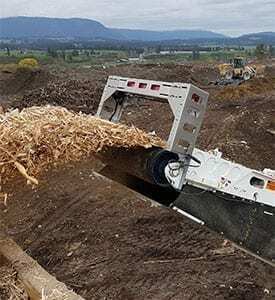 Replacing and removing the challenges of traditional conveyor belt scales, the Optical Belt Scale is an ideal solution for aggregate, soil and mulch, wood and biomass, and waste or recycling. For Sensortechnik, the product is very important for us to be able to see our production in real-time and to be able to know our equipment is producing….It’s proven to be very effective.